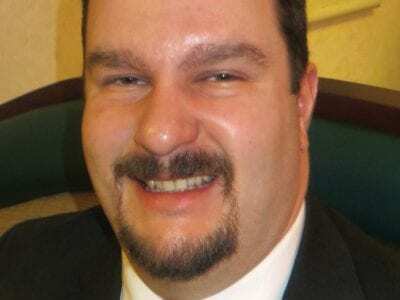 Michael Bartolotti It all began in 1996 when Michael Bartolotti, then a 19-year-old college student, accepted a part-time position at the Putnam County Clerk’s office in Carmel. The after-school job consisted of a variety of menial tasks. In an… Please login below or purchase a subscription to the Putnam County Courier to access this content. 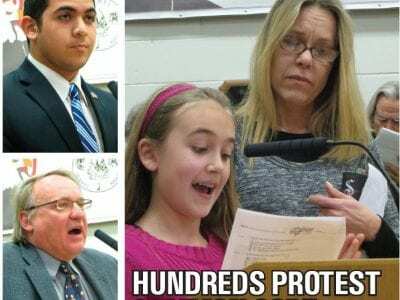 Putnam County conservatives are furious with comments from Gov. Andrew Cuomo that characterized them as extremists and suggested they should leave the state. 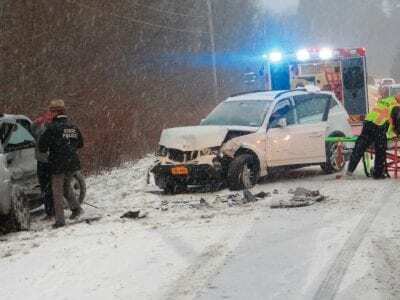 Cuomo, in a radio show last week with the New York Post’s Fredric Dicker, spoke about the R… Please login below or purchase a subscription to the Putnam County Courier to access this content. For the third time in less than a month, the Putnam Lake Branch of the Putnam County National Bank has made news. Chief Sheriff’s Investigator Gerald Schramek reported Wednesday that at 12:15 p.m. on Tuesday, while the lobby of the bank was cl… Please login below or purchase a subscription to the Putnam County Courier to access this content. Emergency responders assist the victims of a two car crash on Route 22 at Dean’s Corners Road in Southeast Tuesday afternoon. A combination of frozen precipitation and Arctic cold has made life miserable for man and beast alike this week throug… Please login below or purchase a subscription to the Putnam County Courier to access this content. Eric Gross is presented with his award by CFD President John Mulreany (left) while ex-chief and long time friend John Copland looks on. Eric Gross has been chasing fire trucks for half a century while reporting on the brave and heroic acts of Putnam&… Please login below or purchase a subscription to the Putnam County Courier to access this content. Top: Students Erica Hamel and Lorenzo Sears try their skill with the Hulk Hero. Middle: Special Education teacher Kim Klapanis enjoys playing the Monster Truck game as much as two students—Landon Shelley and Emily Rusinko. Bottom: C.V. Starr st… Please login below or purchase a subscription to the Putnam County Courier to access this content. 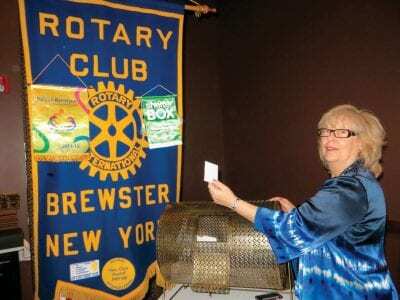 Rotary President Judy Dimattia selects the winning ticket at last week’s meeting in Southeast. Rick Gebhardt of Peach Lake in Southeast may be going to the Super Bowl next month after winning a Rotary raffle but the real winners will be organiz… Please login below or purchase a subscription to the Putnam County Courier to access this content. 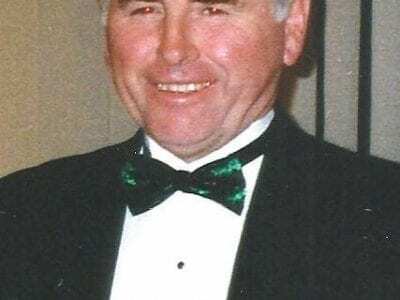 John Callaghan is this year’s grand marshal of the Putnam County St. Patrick’s Day Parade. John Callaghan is proud his Irish heritage. 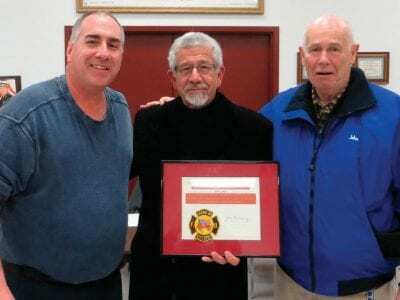 The 70-year-old Mahopac resident will be installed next month as Grand Marshal of this year’s Putnam St… Please login below or purchase a subscription to the Putnam County Courier to access this content. Carmel Fire Chiefs take their oaths of office at the dinner administered by County Coroner Dr. Michael Nesheiwat. 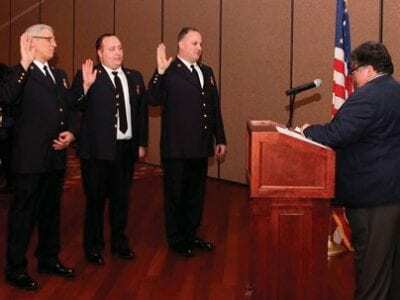 Vinny Ruggiero will lead the Carmel Fire Department in 2014. Ruggiero took his oath of office as chief Saturday evening, succeeding Robe… Please login below or purchase a subscription to the Putnam County Courier to access this content.